UNLV's Sam Boyd Stadium stands as one of the top college football facilities in all the West. The "New" Sam Boyd Stadium, which has always retained its horseshoe shape, expanded to its present capacity of 36,800 (with the ability to seat more than 40,000 when called for). 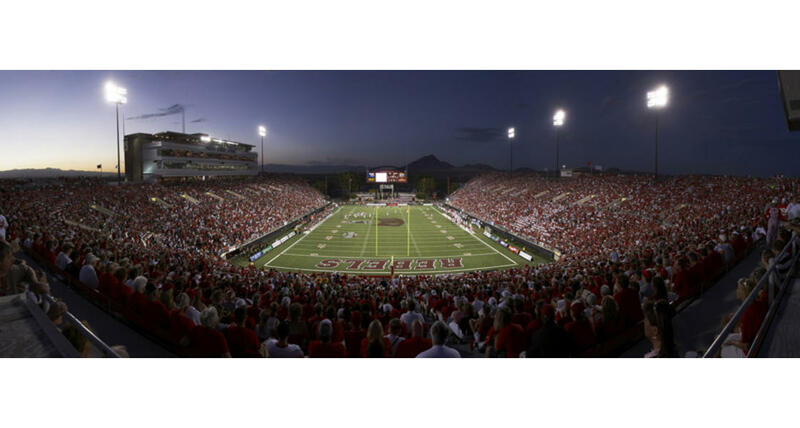 Located approximately seven miles from both the UNLV campus and McCarran International Airport, Sam Boyd Stadium successfully combines the excitement of a college football stadium and the versatility of an entertainment arena.